Gated, Gulf side, pool view condo on the beautiful white sandy beaches of Panama City Beach! 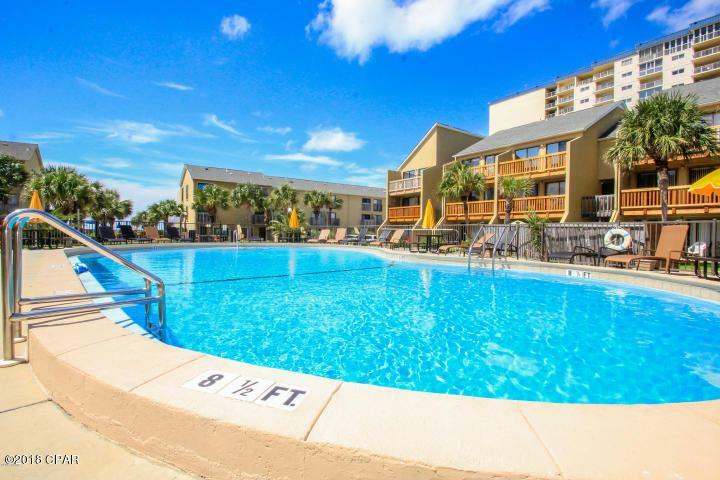 Whether you are looking for your home away from home or a vacation rental, this beach side, family friendly resort offers gorgeous Gulf views, private beach access, hot tub, pool and more! Verify measurements if important.